Are There Foods That Cleanse Radiation From the Body? Radiation exposure originates from many sources, not just the fallout from nuclear weapons or power plants. Other sources of radiation include X-rays, microwaves, power lines, cell phones and computer monitors. Radioactive isotopes from nuclear fallout, such as strontium-90, can remain in the body for years, damaging the DNA within cells and causing mutations. Electro-magnetic radiation from electronic devices passes through the body, causing immediate DNA damage and the formation of harmful free radicals. Some foods contain nutrients that naturally eliminate isotopes and free radicals from the body. Pectin is a structural polysaccharide found in the cell walls of plants and fruits. 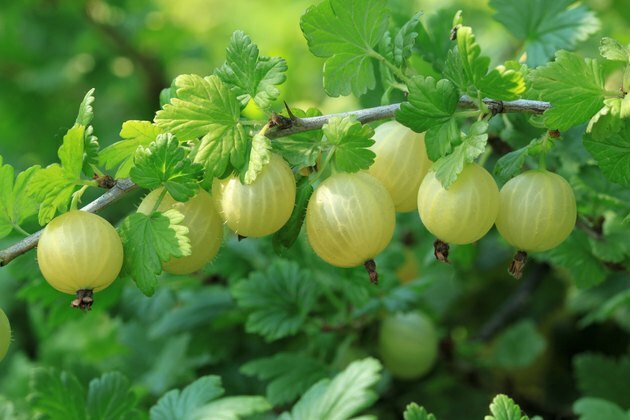 According to “Fighting Radiation and Chemical Pollutants with Foods, Herbs and Vitamins,” pectin has the ability to bind radioactive residues and remove them from the body. Pectin acts as a natural chelating agent, which is a compound that has an affinity for other molecules. Chelating agents bind to other compounds, dragging them out of tissues or the bloodstream, so they can be removed from the body in urine or feces. Apples, especially the skin, are high in pectin, as are guavas, plums, gooseberries, oranges and other citrus fruits. Organic fruits with less pesticide or fertilizer contamination are the best choice, although pectin powder can be taken as a supplement. Chlorophyll has been called the “green blood of plants” because of its similar structure to hemoglobin. Chlorophyll is used by plants to convert sunlight into energy and contains many healthy nutrients, including antioxidants that can scavenge free-radicals. According to the book “Chlorella,” some studies have found that chlorophyll-rich foods, such as chlorella, spirulina and alfalfa, can decrease radiation toxicity. Chlorella, in particular, has the ability to neutralize radiation and mercury-related conditions in the body and to remove poisonous substances, including cadmium, dioxins and PCBs. Chlorella can also detoxify uranium, lead and copper. 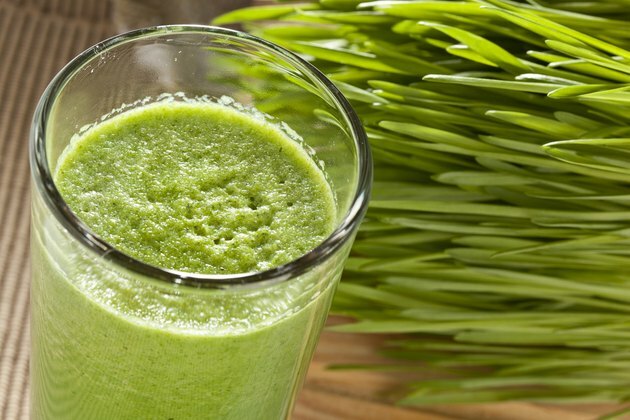 Other foods rich in chlorophyll include leafy greens, celery, parsley, bean sprouts and wheatgrass. 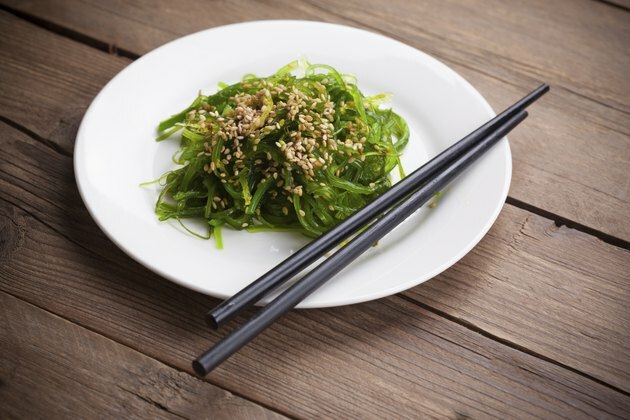 Seaweeds, also called sea vegetables, are not only an excellent source of nutrients, but they are rich in both sodium alginate and iodine, elements that are very effective at protecting the body from radiation and removing it. Kelp is the best known seaweed, but other popular ones are called arame, wakame and kombu. According to a 1964 McGill University study published in the “Canadian Medical Association Journal,” sodium alginate from kelp reduced radioactive strontium absorption in the intestines by 50 to 80 percent. The sodium alginate allowed calcium to be absorbed through the intestinal wall while binding most of the strontium, which was excreted out of the body. Seaweed is also a rich source of natural iodine. If there is a lack of natural iodine in the diet, radioactive iodine-131 will be absorbed and accumulate in the thyroid gland. Radioactive iodine injures the thyroid, causing mutations, swelling and cancer. Consuming natural plant-based iodine helps offset the side effects of radiation exposure. Japanese miso soup contains many ingredients that combat the effects of radiation, such as whole rice, barley, soybeans, sea salt, seaweed, onions and kojikin fungus. A 1990 Hiroshima University study concluded that people who eat miso soup regularly may be up to five times more resistant to radiation poisoning than people who do not. What Foods Should You Avoid While Taking Radiation?